We are providing turnkey solutions in the electrification of large residential and commercial premises. Our service portfolio includes projects for hotels & restaurants, malls, factories, housing societies etc. We are proud of our history and performance on many different commercial, Industrial, high tech, industrial, high tech, institutional, five star hotels, medical and large multistoried residential projects. Backed by our expertise in the relevant industry, we are offering Electrical Project. These services are rendered by our qualified professionals possessing hard-earned experience in their concern field. These services are imparted in best possible way to meet the high expectations of our clients spread all across the country. We are offering Electrical Turnkey Project Service. 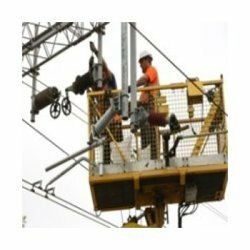 - Electrical installation of 11KV & 33KV sub-station & distribution network. - Stand by D.G. Sets, Synchronization & Parallel operation schemes. - Un interruptable power s upply schemes, load calculations & distribution. - Illumination design & selection of luminaries for aestheticlighting. Banking on the understanding our personnel have received in the years, we are engrossed in the business of offering Electrical Turnkey Contractor Services to our clients. Credited due to their reasonable rates, these services are widely appreciated amongst our clients. More to this, our adroit workers are rendering these services in the most planned manner. Electrical maintenance contracts have an electrical problem at your industry and no one to take care of . Call us, and we will provide you the electricians to fix the problem. We perform industrial visits, as well as electrical maintenance at the premises on monthly contract basis. Send a query for more details on the quotations. - We undertake electrical installation of Factories, High rise buildings, Villas, Malls including independent houses and commercial establishments. - We prepare Electrical Scheme based on given load requirement by client. - Submission of Scheme for Approval by Kerala State Electrical Inspectorate. We are doing Turnkey Electrical projects. We are one of the leading name and provide services like project Design, Estimation, Detailing, Execution etc. We have worked for various sectors of Industries as below which include flame proof wiring. Patel Auto Engineering Co. INDIA Pvt. Ltd.
We have been doing Electrical EPC Contracting work from various prestigious clients since last 12 years in turnkey basis which includes electrification of industrial projects, commercial projects, solar & wind projects, different project of govt. PSU etc. K. S. V. Electricals Pvt. Ltd.
Erection and Commissioning activity in the fields of Electrical, Electronic and Process instrumentation.